Celebrate Dental & Braces (San Antonio) - Book Appointment Online! Trusted Dentist & Orthodontist in San Antonio, TX Many families trust Celebrate Dental & Braces in San Antonio, TX. Dentist and orthodontist services are available for the whole family, from kids to adults. We take your comfort and convenience into consideration. We sincerely believe that each and every visit to our dental office should be pleasant and downright enjoyable. Why You Should Choose Us As Your Dentist And Orthodontist: We offer state-of-the-art amenities and services in a relaxing environment with a caring and attentive staff. Our easy appointment scheduling system ensures that we are available at your convenience and our flexible office hours work with most busy schedules. For each member of the family, we are proud to offer comfortable dental treatments that give you something to smile about. 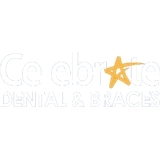 For a San Antonio dentist near you, contact Celebrate Dental & Braces today. We look forward to meeting you and scheduling an initial consultation appointment so that you can learn more about our gentle approach and friendly staff members. Our comfortable and relaxing clinic environment helps ensure you don't feel any pain and that you are able to bring up any concerns you may have. Our highly trained staff are continually evolving and advancing their education as we strive to offer you the best and brightest advances in dental technology and techniques. Call us today to learn more about our no-interest financing. We promise to beat any written offer by 5 percent and welcome all types of insurances, including Medicaid and CHIP. Call us now or fill out our online form for more information.